Previous PostLies, damned lies, and lying to ourselves with statisticsNext PostExtracting audio from video. Without a microphone. Reading this I feel the need to mention Protons for Breakfast, the science orientation course I have put on at the National Physical Laboratory, twice a year for the last 10 years. •	Simply entering a place like NPL provides ‘Science Capital’. •	We target parents and children learning together, and also older adults. I feel there is a plethora of ‘kidz thingz’ and frankly, it is ‘not my scene’. •	People return for a two-hour session one evening a week over 6 weeks. And they build relationships with me (as presenter) and with real scientists. 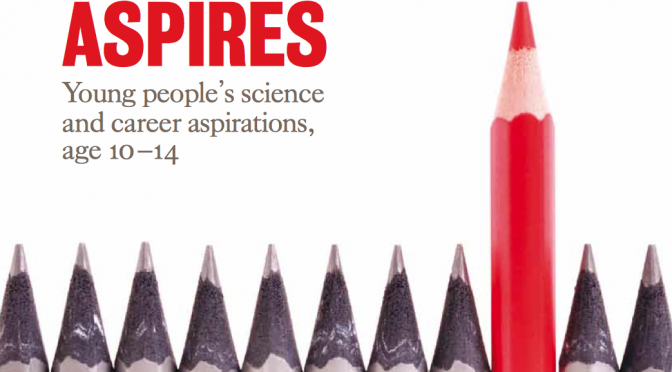 They discuss with real scientists – often only in their early 20’s – the career choices they made. •	The course discusses the links between the parts of science (mainly physics) with which people are aware e.g. radios and light and electricity and atoms. This credits the intelligence and knowledge of people and makes them feel more personally empowered by their additional understanding. •	We convey the fact that although there are things that are not understood, overwhelmingly the world makes sense and the phenomena of nature can be understood at least partially. •	Absolutely no maths is required. Sadly the course will die after its next presentation this November, but if anyone wants to pick its bones, please drop me a line and I will be happy to direct you its resource carcass. Thanks Michael, I’m sad to hear Protons for Breakfast is coming to an end, I’ve heard good things about it. For this programme ‘though, I suspect most of your participants are older than ten, and already have have a higher than average science capital before they cross the threshold of such a renowned organisation as the NPL. There is need for a broad spectrum of ways to engage, safe places for people to find out more in depth, but also places to begin nurturing these ideas in the first place. What I think is interesting about ExpeRimental is that they are using current research and trying to bring science home for those families who might not naturally discuss science across their kitchen tables. Normalising these discussions can change the science capital of those individuals at a young age. A noble goal. I think, you’re right Elin. We do need to target parents of young(ish) kids. A lot of the educational outreach money has been thrown at teachers of secondary school kids in recent years, and by then it’s probably too late. The kids will have a better experience due to better teaching, but if they’ve already decided that science is not for them then it probably won’t encourage them to take it further. I wouldn’t say the money hitting teens in schools is totally wasted, but you will have already missed some who could have been interested. Fewer people are interested in funding activities for the under tens, sadly. I’ve used the PfB resources and steered many teachers in that direction as part of their CPD. It’s a truly excellent venture and I’m sorry to hear that it’s coming to an end. I’d just like to say thanks for developing it and making it so freely available.